By admin in Mysteries of the Rosary on February 23, 2018 . We pray that the Light of the mystery of the Incarnation of Our Lord will saturate our minds and hearts as we contemplate this first mystery of the Holy Rosary: The Annunciation. “The Incarnation is the first mystery of Jesus Christ, it is the most hidden; and it is the most exalted and the least known….this mystery is a summary of all his mysteries since it contains the intention and the grace of them all.” (#248). It should not seem any great mystery to us that the Incarnation contains the grace and intention of all the rest of the mysteries of Christ’s life. Any good catechism will tell us that God’s “intention” in willing the Incarnation of the Second Person of the Trinity was to make possible the salvation and sanctification of mankind through the graces merited by Jesus Christ through His Life, Passion, Death, and Resurrection. What possible reason could St. Louis de Montfort have, therefore, for saying that the Incarnation is the “most hidden” and “least known” of all the mysteries of Christ’s life? After all, there has been a great deal written about the Incarnation of Our Lord. In fact, the first four Ecumenical Councils of the Church were all about defining many crucial points of doctrine in relation to the Incarnation: that the Divine Person Jesus Christ was of one substance (homoousious) and equal with the Father; that Mary, in being the Mother of Jesus Christ, was truly the Mother of God (Theotokos); that Jesus Christ was truly and fully both God and man, and that this union was rightly understood as two natures (both human and Divine) united in One Divine Person (the Hypostatic Union). “In this preservation, then, of the real quality of both natures [divine and human], both united in one person, lowliness was taken on by majesty, weakness by strength, mortality by the immortal. And in order to pay the debt of our fallen state, inviolable nature was united to one capable of suffering so that (and this is the sort of reparation we needed) one and the same mediator between God and men, the man Jesus Christ, could die in the one nature and not die in the other. In the whole and perfect nature of the true man, then, the true God was born, complete in His own nature, complete in ours….For that putting off of self, whereby He the invisible made Himself visible and as Creator and Lord of all things wished to become one of the mortals, was an inclination to mercy, not a failure of power. He who keeping the form of God created man, the same was made man in an aspect of servitude. Both His natures keep their intrinsic quality without defect; and just as the aspect of God does not remove the aspect of servitude, so also this latter does not lessen the aspect of God. All this does indeed involve profound mysteries, and yet these words of Pope Leo should resonate in any truly Christian soul with great beauty, truth, and meaning. Jesus Christ really did all these things. These are historical facts, and therefore the reason for St. Louis de Montfort’s claim that the Incarnation is the “most hidden” and “least known” must lie elsewhere. “For let this mind be in you, which was also in Christ Jesus: Who being in the form of God, thought it not robbery to be equal with God: But emptied himself, taking the form of a servant, being made in the likeness of men, and in habit found as a man. He humbled himself, becoming obedient unto death, even to the death of the cross.” (2: 5-8). “Despised, and the most abject of men, a man of sorrows: and his look was as it were hidden and despised, whereupon we esteemed him not. (Is. 53: 3). God and Mary meet and embrace in the mutual exchange of total humility, and a Child is conceived. This is the most exalted Mystery of the Annunciation – Incarnation, and it is present in every Hail Mary which we recite during all the Mysteries of the Rosary. 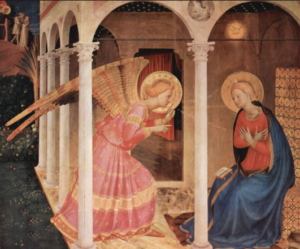 With the Archangel Gabriel at the Annunciation we pray “Hail Mary full of grace, the Lord is with thee”; and we then exclaim “Blessed art thou among women, and blessed is the fruit of thy womb, Jesus” while being present in heart and mind at the Incarnation. It then remains for us to pray “Holy Mary, Mother of God, pray for us sinners now and at the hour of our death” in order that through the graces merited by Christ, we may be transformed into the likeness of the same Jesus Christ within the refuge of Mary’s Immaculate Heart. This is the perfect following of Jesus Christ. For He Who was conceived by the Holy Spirit and formed in Mary’s womb wills that we should be conceived into His Life by the Holy Spirit in baptism, and formed into the fullness of Christ through Her Maternal Care. The Rosary is the nursery of sainthood. It is in the depths of such humility that we are called to follow Christ. We live in a time of almost universal deception regarding virtually everything Catholic. This is especially true in regard to the virtue of humility. Humility is now being promoted throughout the Church as an attitude and course of action which is accepting and inclusive towards virtually every form of perversion of truth and morality. In such a mindset, firm adherence to the dogmas and doctrines of the Catholic Faith, and the pastoral practices which are the necessary conclusions of such absolute truths regarding faith and morals, is seen to be a negation of true charity and a reflection of past forms of “rigidity” and “Pharisaic” attitudes which now must be rejected. This view amounts to a complete falsification of the nature of humility itself, and as such it entails the inversion of the entirety of the Catholic Faith. This definition tells us that “the beginning of our salvation” is entirely dependent upon an act by which, with the absolutely necessary help of God’s grace, we yield our intelligence and will to God as He has revealed Himself. The possession of our Catholic Faith therefore absolutely requires this primary act of humility towards God and His revealed Truths, and any attempt to propose a humility which “goes to the peripheries” in order to be inclusive towards errors or sins which are in opposition to these Truths, is simply the work of Satan. This negation of the real meaning of humility has been increasingly dominant over the past 50 years. It became prevalent after Vatican Council II with the almost total rejection of the Gift of the Holy Spirit which is rightly named “Fear of the Lord.” This was changed to such terms as “reverence”, “awe”, or even “reverence for life in all its forms”. These are not at all the same. We may reverence, or be in awe, of a new car, a sunset or the birth of a new baby, but such sentiments are in no way to be equated with the Gift of the Holy Spirit which is Fear of the Lord. This alteration has had enormous consequences for the life of the Church, and especially for the faith of our youth who have been confirmed. As scripture says, “Fear of the Lord is the beginning of wisdom”, and it is not only the beginning of wisdom, but the foundation of all the other Gifts of the Holy Spirit. If we change it, diffuse it, or eliminate it in the administration of this sacrament, we are vitiating the whole meaning, purpose, and conduct of the Christian Faith. We can make no judgment about the extent to which such falsification might result in God withholding graces in this sacrament, but we certainly can make a judgment as to the affect upon the disposition of the minds and hearts of countless young people who have received this sacrament. And it is upon such dispositions that the graces of the sacrament are dependent if there is to be any Catholic Faith, or the living of that faith. Without the Gift of Fear of the Lord, there can, in fact, be no possession of the theological virtue of Faith itself. It should be no matter of wonder to us, therefore, that for untold numbers of our youth the Sacrament of Confirmation has for them been not an occasion of growing and maturing in the Catholic Faith, but rather a graduation out of the Church and into the spirit of the World, of which Satan is the Prince (Jn. 12: 31-32; 14:-30-31; 16;7-11). The Gift of the Holy Spirit which is Fear of the Lord is not an abject fear. It has nothing in common with the fear of bats, snakes, or human tyrants. On the contrary, it establishes in us the absolute truth of the most fundamental reality of our lives. This reality is twofold: 1) the truth concerning the infinite Majesty, Truth, and Goodness of God; and, (2) the truth concerning our own poverty and sinfulness. The effect of this Gift is therefore that of delivering our souls, through this fundamental act of humility, into the arms of God, wherein we may further ascend the ladder to the higher Gifts, and the holiness that is demanded of us by Our God. The Gift of Fear of the Lord therefore corresponds to the First Beatitude:”Blessed are the poor in spirit, for they shall see God.” Without this Gift there is no possibility of our attaining to the Vision of God in Heaven. “Unless you be converted, and become as little children, you shall not enter into the kingdom of heaven.” (Mt. 18:3). 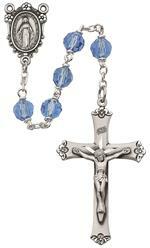 *Please pray every Rosary to include the intention: For the Purification of the Church. Also please have your Pastor offer a Mass for this intention, refer him to the Proposal, and ask him to promote the Rosary to the Interior: For the Purification of the Church on Feb 2, 2019.